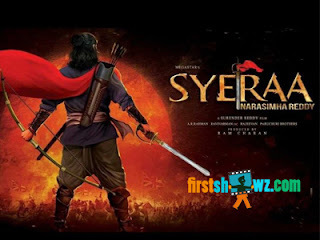 Home / News / Chiranjeevi’s Sye Raa for Dussera? Chiranjeevi’s Sye Raa for Dussera? Megastar Chiranjeevi’s Sye Raa Narasimha Reddy was supposed to release for summer 2019, but the extensive post-production works will lead to delay and the makers are now planning to lock Dussera release. The makers are likely to make an announcement soon to lock the release date to avoid clash with any major releases. Being directed by Surender Reddy, and produced on Konidela Productions banner, Amit Trivedi is composing music for Sye Raa. The movie has Amitabh Bachchan, Jagapathi Babu, Vijay Sethupati , Kannada actor Sudeep in important roles and Tamannaah, Nayanatara as lead ladies.